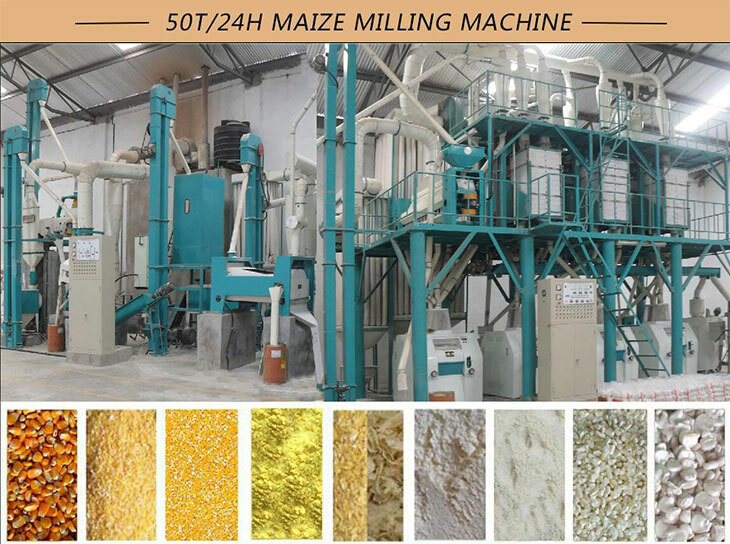 This maize flour mill has two parts, cleaning part consists of sieving, destoning,dampening, peeling machines and the milling parts mainly use roller mills and double silo sifters. This series maize flour mill machine is usually designed in steel structure or installed in a warehouse. Our maize flour mill machine have scientific design and configuration, elegant appearance, high efficiency, low power consumption, low production costs, with low noise and zero pollution. 1. Dry milling technology save labor work. 2. Fully atomatic with high performance. 3. Easy operation and mantainence and energy saving. 4. High output rate of final products. 5. Installation, staff training service.